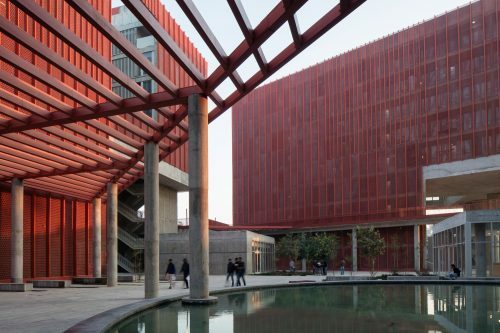 Thapar University Student Accommodation has been shortlisted for the prestigious World Architecture Festival Awards. Designed by McCullough Mulvin with DesignPlus Associates, Delhi, the project is a finalist in the Higher Education and Research category. Finalists are invited to present their projects at the World Architecture Festival 2018 held in Amsterdam on 28th - 30th November. The winners will be announced at the closing gala.